I am so excited to have received this product in my bag! I have been using this everyday since I got it. I’ve heard great things about this product and it does not disappoint. I also like that it isn’t super dark for pale skin tone. I am actually really pleased with this lip balm. I received it in the color French Kiss which shows it as a pale pink. I was under the assumption that it would be somewhat tinted, but there is really no color to it. Other than that, I really like it. It’s a nice change from my regular lip balm. Since it’s the summer, I’ve been wanting to try a salt spray for my hair so when I found out I was getting this I was super excited. There’s no smell to it, and I love the texture that it gives my hair. This is such a nice change from my normal translucent powder! It doesn’t leave a powder finish and it goes on super smooth. I can’t even tell that I’m even wearing it! Loving this product! Probably my least favorite product from the bag. I really don’t need any new facial cleansers at all. I plan on just using this for traveling purposes only. Overall Thoughts: Super excited and pleased with this month’s bag and I actually kind of like the print of the bag as well. 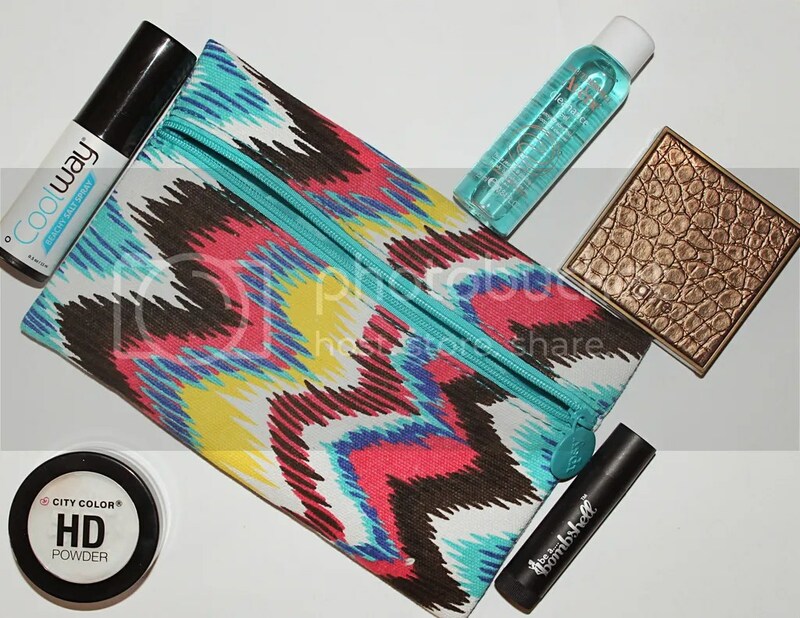 My favorite product from this bag is definitely the bronzer and my least favorite is the cleanser. I definitely can’t wait for next month’s bag, especially since it’s my birthday month. (I wish ipsy would do something special for your birthday) If you would like to subscribe to ipsy, you can CLICK HERE by using my referral link. I am so jealous you got the TARTE Bronzer and City Color Cosmetics HD Powder!! Great post. I did a review on my IPSY bag too. Check it out if you get a chance. Do you think it’s long wearing? I’ve heard good things about it. It’s definitely long wearing which I love!